Exquisite estate for sale out side Vail in the private and luxurious Lake Creek. The lush valley features dramatic views of the New York Sawatch Mountain Ranges, thriving forest of aspens and pines and lots of hiking and biking trails for your enjoyment. 24 Whiskey Ridge is truly a masterpiece. This 12,521 estate graces 4.5 private acres. Designed to showcase the dramatic surroundings, this home features 10 walls of glass that disappear to create a seamlessly integrated indoor/outdoor oasis. The breathtaking master suite wing includes a gorgeous limestone and marble spa bathroom, 2 fireplaces and an elegant yoga and mediation sanctuary. The other features of this home include an exquisite study, a gourmet kitchen, reflection pond and waterfall, glass bridge walk ways, outdoor dining and BBQ terraces. The guest house includes 2 bedroom suites, kitchen and living room. Vail Ski Resort opened on Friday, November 22nd with one of its best opening days in the last few years. Skiers were able to enjoy skiing on 130 acres of terrain. According to the Vail Daily, with a little bit more snow, Vail will be able to greatly increase the number of runs and lifts now open. At the same time, in the real estate market, Vail is seeing a wide open market. Within Vail Village and Lionshead areas alone, there are over 160 properties on the market. And, this market has choices for every budget from one bedroom units to luxurious single family homes. There are twenty-six homes for sale under one million and just about the same number for homes priced between one million and two million. The top of the market in Vail is as steep as some of Vail's ski runs with prices in the twenty to twenty-five million range. For more information on real estate in the Vail Valley including Beaver Creek, see my contact inforrmation! Summer is arriving in the Vail Valley and the real estate market is beginning to shine. One of the shiniest areas in the whole of Vail Valley is the scenic valley of Lake Creek and no other home on the market in Lake Creek offers such serenity and peacefulness as 0804 Eagle Crest. Located on 2.5 wooded acres with panormic views this 4 bedroom home offers many features from a spacious deck, recently remodeled kitchen and much more. There is also a separate 2 bedroom/2bath guest house. For more information on 0804 Eagle Crest and any real estate questions, see my contact information below. GATEWAY LAND & DEVELOPMENT MOVES TO NEW OFFICE SPACE!!! May is an exciting time for Gateway Land & Development Real Estate Company and the real estate market in the Vail Valley. As the market moves upward, we, at Gateway Land & Development have moved upward to a new location in Edwards, Colorado. We are very excited about our new office space (formerly California Closets) in the Riverwalk located directly across from The Bookworm, and we are very excited about the real estate trends we are seeing in the Vail Valley. The summer should prove to be an exciting one on both fronts: our new move and the move in real estate trends. Come and see our new office to learn about what is happening in the real estate market. See my contact information listed below for any of your real estate questions and needs. Read more about GATEWAY LAND & DEVELOPMENT MOVES TO NEW OFFICE SPACE!!! If you are looking for a luxury home in the beautiful Vail Valley then don't overlook Arrowhead, home of the Country Club of the Rockies and Arrowhead Ski Area. This quiet and scenic gated community offers everythiing for enjoying all of what golf and skiing in Colorado has to offer. With over 40 single family and duplex homes on the market, buyers have a wide range of prices and a wide range of selections to choose their ideal vacation home. For more information on real estate in Arrowhead and the Vail Valley see my contact information below. It is no sercret that the success of Vail Resorts is highly dependent on snow conditions, and the rocky start to the 2012 ski season was reflected in the early season's financial report. However, despite these hardships, Vail Resorts' latest financial report shows gains in the ski season metrics through Sunday compared to the same time last year. Though the challenging early season has set the company back in terms of following the financial guidance it put in place in September. Skier visits are up 2% while revenues from lift tickets, ski school, dining and retail were up double digits from last year. Even with the early season setback, the report shows that once the more typical winter conditions returned in mid-December, visitation and guest spending increased--especially during the holidays. 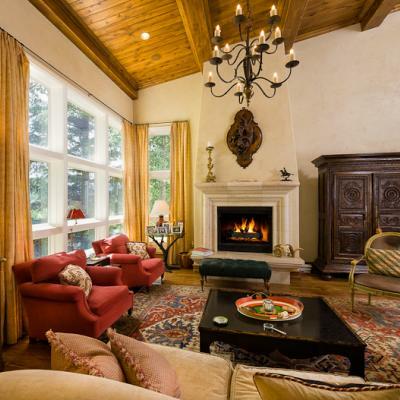 MANOR VAIL: BEST SKI IN-SKI OUT UNITS ON VAIL REAL ESTATE MARKET! 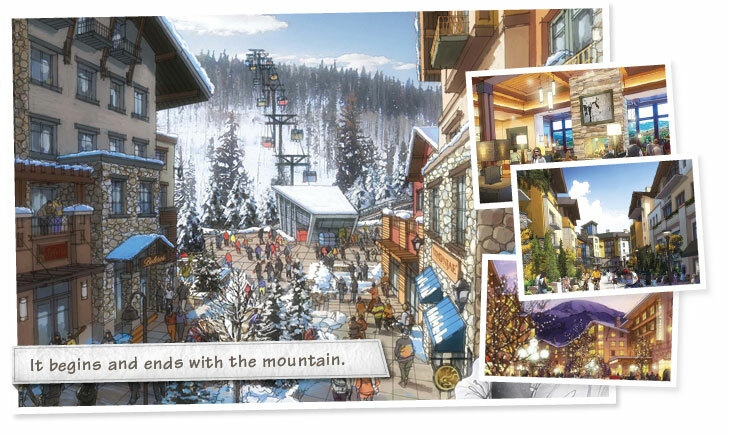 Walk across the street to Vail's new gondola or into the heart of Vail Village when you are a condo owner at one of Vail's ideal locations at Manor Vail. With 12 units currently on the market ranging in price from the low $700,000s to the seven million dollar range, buyers have a wide selection of condos to choose from. Manor Vail has wonderful amenities including an outdoor pool, workout facility, meeting rooms and a highly rated restaurant. For information on rental history, association fees, and any other real estate interests in the Vail Valley, please contact me. Also, there are several parking spaces in Vail avilable between $170,00 - $180,000. Read more about MANOR VAIL: BEST SKI IN-SKI OUT UNITS ON VAIL REAL ESTATE MARKET!